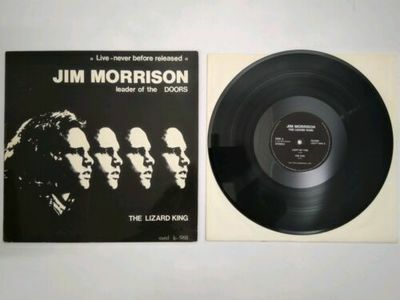 The LP ' The Lizard King ' by The Doors (Although the album is credited to Jim Morrison) as released on Round LIZLP 1968. The album was recorded live at the New Roundhouse in London in 1968. Have test played - 'live recording' has on/ off light backround crackle. No skips or jumps - sounds good.